Welcome to Collections Care Training Services. We are a small, friendly and professional team of conservators, passionate about promoting and raising standards of collections care both in heritage organisations and the general public. We achieve this by delivering a range of talks, workshops and training events, which can be tailor made if required. 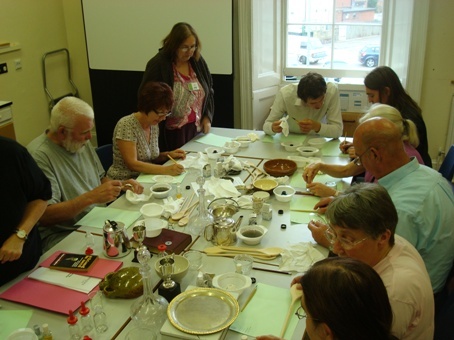 Our conservators have training and experience in a wide variety of areas of conservation and collections care. Whether it is something small or large, formal or informal, we welcome your enquiry.